Can''''t take the heat in the kitchen? 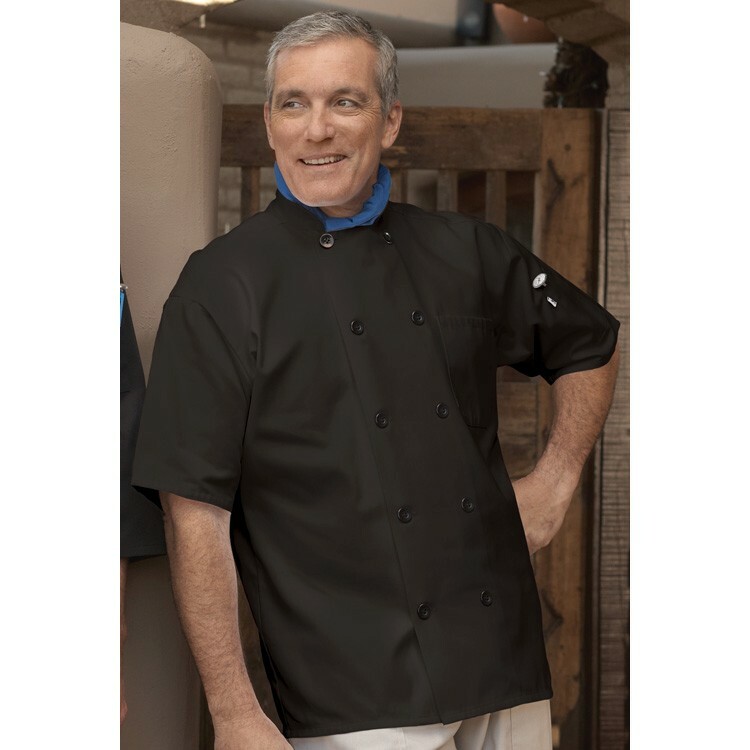 Cool off with this comfortable, yet hard working short sleeve black chef coat. Made of 65/35 polyester/cotton twill blend (7.5 oz.) offering ten black plastic buttons, mitered chest pocket, thermometer pocket, finished cuffs and collar, reinforced bar tacking and reversible closure. Available in sizes XS-6XL. Price shown for sizes XS-XL. Additional cost for larger sizes.